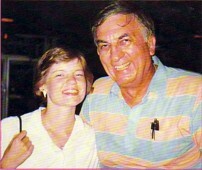 Bill E Burk - the anniversary of his passing. On April 24th last year the Elvis World lost a good friend. "007" Bill E. Burk passed away April 24, 2008, at Baptist Memorial Hospital after a brief illness. Bill E Burk was highly respected throughout the Elvis world and was one of the greatest promoters of the Elvis legacy the world has known. His name was synonymous with rigorous investigative journalism and a knack for exposing longstanding myths about events in the King's life. His legacy is still a great one!. In the world of Elvis Presley, the name Bill E. Burk (aka "007") is synonymous with rigorous investigative journalism and a knack for exposing longstanding myths about events in the King's life. Bill is a native Memphian whose fascinating background is the stuff of a Boys Own Annual: an international pilot who has logged more than 9000 flying hours on every continent but Australia; a standout athlete in three sports; a retired lieutenant colonel from the Air National Guard who saw duty in two wars - Korea and Vietnam. He also served as syndicated columnist with the old Memphis Press-Scimitar, winning several awards, including Columnist of the Year (twice); and for the past 19 years has been the publisher of the renowned quarterly magazine, Elvis World. For Elvis fans, Bill has the distinction of having written countless articles and numerous books about Elvis, both as his friend and as an author. EIN first interviewed Bill in 2002 and with his new book, Elvis Aaron Presley: A Candle In The Wind, due for puiblication in the first quarter of 2005 we thought it was a good time to update that interview. Here are our most recent questions together with the 2002 interview. EIN: Bill, the sale of EPE stunned many fans. What is your view on it? BB: The sale of EPE to Robert Sillerman shocked Hell out of me, as it did everyone. I checked with many, many Elvis insiders after the fact and no one -- NO ONE !!! -- had any inkling this was coming down the line. So, kudoes to EPE and Sillerman for keeping this SO extremely secretive because, heretofore, EPE has had more leaks than a screen door trying to old water. Now, having said that, I feel Sillerman's taking over of EPE is going to provide the cash flow needed for EPE to realize the many dreamed-of projects it has wanted to do for years, but, lacking either the money, or the guts to spend it, have not achieved them. 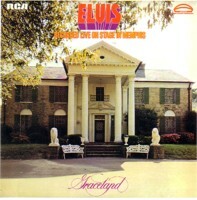 I think day-to-day operations of Graceland and the tours will pretty much stay the same. With Sillerman's billions of $$$s and his connections in the entertainment world, I see his extending the Elvis image all around the world. More immediately, look for permanent exhibits in Germany, Japan and Las Vegas, though why he would overlook England up front baffles me. The failed EP's-Memphis restaurant chain will more than likely be revived and these restaurants could be popping up worldwide within Sillerman's first year. At best, he will not take over control before March 2005. Lisa Marie retains ownership of the house and grounds, all the Elvis artifacts (jumpsuits, trophies, cars, airplanes) . . . while Sillerman will control Elvis' image, likeness, and licensing; the shopping center across the street from the mansion. It could well be one of the first changes in Memphis will be the tearing down of the Graceland Crossing shopping center immediately north of the airplanes; this to be replaced by the long-planned 5-story building that would house a museum of Tom Parker items; a small theater; a quality restaurant; and shops. Another project long on the drawing boards would be a convention hotel on the property -- perhaps replacing Heartbreak Hotel. However, I doubt occupancy rates in a hotel that far away from downtown would be profitable. An Elvis-themed casino in Las Vegas could become a possibility. It's been talked of in recent years. I have studied Sillerman, the man and the businessman, more deeply than any other person in my Life and, from all I've learned, to date, I am impressed with both the man and his business practices. I have asked our ELVIS WORLD readers to allow him time to prove himself before making rash judgements on him. EIN: Your upcoming book, Elvis Aaron Presley: Candle In The Wind - how did you decide on the title? BB: Years ago, even before the death of Princess Diana, I was sitting here at the keyboard one night and heard "some guy" singing a song on the radio and I heard the phrase "candle in the wind," and immediately I thought that applied to Elvis -- that he achieved so very much in his too-short Lifetime, which was extinguished all too early, like a "candle in the wind." So I ran and grabbed a pen and paper and jotted those words down. It was much later before I realized it was Elton John singing it. In late 2004, I suggested three titles for my upcoming coffee table book to the EW readers and asked their opinions of which they preferred. More than 97% chose CANDLE IN THE WIND. I then passed the title on to our world-famous artist, Betty Harper, who designs all of our book covers and she came back with four suggested covers. We chose the pink/black one because those were two of Elvis' favorite colors. At our recent EW Lunch at Marlowe's, we passed around to all the tables a copy of the cover and it won 100% approval. EIN: And how is the book coming along and what can fans expect in it? BB: Originally, we had hoped to have the book ready for Elvis' 70th birthday celebrations in Memphis; our thought being we would have about 7000 fans here for that event. But, I'm involved in many more projects in addition to CANDLE, so it became obvious we would not make the January deadline of introducing the book. Currently, I am guessing a March release on the book. We have it about 75% complete at this moment. The remaining 25%, plus taking time to make revisions to improve what we have, will be well worth the wait. We offered the book at a pre-publishing price and sold more than 300 copies, which indicates the fans are eager for it. By comparison, the reprinting of our HUMES YEARS book in 2003 pre-sold 19 copies. EIN: One section in "Candle" that sounds very interesting is about Elvis and black entertainers. What can you tell us about that? BB: For years Elvis enjoyed a close relationship with many black entertainers here in Memphis. I know all of them. So it was my idea -- to counter the claim Elvis was racist -- to have these entertainers sound off on the truth about Elvis' relations with black entertainers. I am hoping many of them will have photos with Elvis that we have never seen before. But keep in mind, CANDLE, at heart, is a coffee table "photo" book, though I must admit, what has been completed, to date, has far more writing than I had planned. EIN: And the Jaycees Award? BB: I have talked with former mayor Bill Morris, who nominated Elvis for this award, on this subject. His friendship with Elvis goes back to their years living in Tupelo. Bill Morris, incidentally, also married Connie and me -- one of only three weddings he officiated at as mayor for eight years. But the reason for the Jaycees section of the CANDLE book is a lifelong friend of mine was there at the awards ceremony and he took 12 color photos. It took years of negotiating with him before he finally gave me the negatives. I showed prints to Elvis fans and they said these were poses they had never seen before, so I definitely wanted to include some of them in the book. EIN: More untold stories. Can you give us an idea of what these will cover? BB: C'mon, Nigel ... if I told you the untold stories, there would be no reason for anyone to buy the book! Now, having said that, the very first story in the book came to me in August 1987 and I got it verified that same year ... and I've been saving that story for this book since. Eighteen years! It's about an Elvis "concert" and you or anyone has never heard of this concert before and the story is simply precious. Some old girlfriends have come to me with private stories they have never shared with anyone before. Also, some of the Memphis Mafia guys. In a couple of cases, two particular Mafia guys didn't want to share stories, so I told them in the absence of volunteered stories from them, I would print a couple of (true) highly embarrassing stories about them in the book. Quickly, they VOLUNTEERED stories!! But again, CANDLE, at heart, is designed to be a coffee table PHOTO book !!! EIN: Bill, you are renowned for exposing myths in the Elvis world. Will you be exposing more in "Candle"? BB: Not sure at this moment. We thought of pulling all the myths we have exposed via ELVIS WORLD into one or two pages in CANDLE, but that is not final. 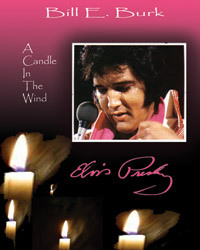 EIN: Will the layout for "Candle" be similar to your other Elvis hardcover releases? BB: Not at all. CANDLE will be 8x10 (A-4) in size and the quality and weight of the paper will be the most expensive we have ever used in the previous 12 Elvis books. It will be laminated hardcover because we have learned, since 1985 (and my first book) that the laminated covers last far, far longer than the paper dust covers. EIN: What can fans expect by way of rare photos in "Candle"? BB: We have already discussed the Jaycees photos. In addition, I gained ownership of 26 photos of a January 1956 concert and some will find their way into this book. 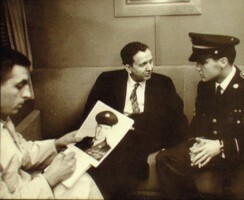 I once befriended a young policeman from Paris, France, and it turns out one of his friends was a professional photographer who had snapped Elvis on Army leave in 1959 to Paris. As a "thank you" for treating his friend, the policeman, nice, the photographer sent me 24 rare photos from his vast collection. One man in Canada sent me a host of rare photos from Elvis' performances up there, saying he was giving them to me because I had a reputation of never screwing the fans with high prices. And a German photographer early last year sent me 93 photos he had of Elvis in Germany; he, too, saying my reputation for treating the fans fairly was the reason he was making this gesture. He died not long after that. These and other rare photos I have collected over the years have always been held back for the CANDLE book, once I ever printed it -- which will be this winter. EIN: Bill, you enjoyed a strong friendship with Elvis. How did you first meet and how did the friendship develop? 007: Though I began writing about Elvis in January 1955 when I joined the Memphis bureau of the old United Press International, it was not until I moved over to the Press-Scimitar that I met Elvis. That was in September 1957 when Elvis was dating Anita Wood. My photographer, Bill Leaptrott, who went to Humes High School with Elvis for four years, and I were asigned to go to Anita's house and meet and photograph Elvis, who was taking her to the Mid-South Fair that night. We then followed the two of them along the Fair's midway all night. In 1957, Elvis could still walk down the midway without drawing too large a crowd. Our editor then gave us one asignment: "I want you to go down to Graceland every afternoon when Elvis comes down to meet the fans (about 5pm) and follow him wherever he goes and whatever he does." A choice assignment if ever there was one, right! And we wrote everything. The most memorable one was when Elvis sent Lamar Fike to a nearby shoe repair shop with 38 pairs of shoes to be mended. We wrote that story, which prompted someone to write a Letter to the Editor saying "Thank you for this soleful report on Elvis." It was thru this daily contact with Elvis five days a week during the pre-Army days that bonded us as friends. I lived less than one minute from Graceland the whole time he was there. One afternoon, Leaptrott asked Elvis to give him (not loan him) $5000 to get him out of debt. Elvis referred Leaptrott to his father, Vernon, knowing full well Vernon would never write such a check. But then he turned to me and said, "Why is it everyone else asks me for money and things and you never do?" To which I replied, "Elvis, the only thing I will ever ask you for is your friendship." And he died 20 years later, that's all he had ever given me. EIN: What are your fondest memories of knowing Elvis? (3) the night he called me asking me to come down to his house because he wanted to talk. He talked, mostly, and it was of how terribly much he missed his mother, who died in 1958, and how life wasn't as happy for him now without her in the house. as I was leaving Graceland, Elvis said, "I wish I could be like you." I was shocked! EIN: How many times did you see Elvis perform live on stage and how did his performances impact you? 007: First, let me explain that as the writer of recording stars, it was my beat to attend as many concerts as possible between 1962 and 1983. So, when Elvis came through, I might take a night off because Elvis was local and, as the saying goes, "you're never as famous at home as you are on the road." Having said that, I saw Elvis four times in Memphis and once in Las Vegas - that being his very last concert at the Hilton in December 1976. At an Elvis concert, I concentrated more on how he could work the crowds of fans. No performer in history can, or ever will, equal Elvis in that. EIN: Of all the books you have written about Elvis, what is your favorite and why? 007: To date I have written 12 Elvis Books, some going into their fourth printing and I would say it would be between two of my Early Elvis trilogy books: The Tupelo Years and The Humes Years. Before researching these books, and talking to hundreds of family members and friends who knew him, I knew Elvis, my neighbor who sold millions of records...but it was doing research on these two books that I realized that Elvis, as early as age 10, set his goal in life - to become an entertainer - and he never let anyone stray him from that goal. And in the end, he became ELVIS!! One of few human beings in history recognizable by only one name. EIN: Your Early Elvis trilogy is widely regarded as being among the best books about Elvis ever published. 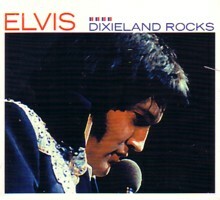 You managed to dispel many myths in the Elvis world by talking to those who were there at the time. What are some of your favorite remembrances about writing the Early Elvis trilogy? Elvis was a mama's boy. She walked him to and from school every day. Not true. Elvis was placed 2nd at the 1945 Tupelo Fair and won $5.00 and all the rides at the Fair. Not true. Elvis was thrown off the football tream at Humes because he had long sideburns. Not true. Elvis was working at Crown Electric when he spent $4.00 to record My Happiness at Memphis Recording Service. Not true. That some who professed to being "Elvis' best friend" in Tupelo and at Humes were truly not even on the fringes at that time, but joined Elvis' circle of friends after That's All Right (Mama) became a hit. That Dewey Phillips was not the first DJ to play That's All Right (Mama) on air; his missing that honor by some four hours to another DJ on another station. The Truth in all of these Elvis myths (above) is contained in my Early Elvis trilogy. EIN: Apart from your own books, what are some of your favorite Elvis books? 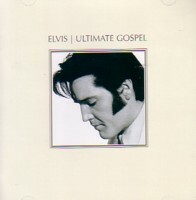 007: I think every fan in the world should have a copy of Elvis: A to Z, which I keep at my side every moment while working. Another is Elvis: The Concert Years,by Norway's Stein Erik-Skar. This is, by far, the best coffee table book on Elvis ever produced by anyone! And another I felt was a very true reflection of Elvis and his life out of the public's eye was Revelations of the Memphis Mafia by Alanna Nash. some fans didn't like that book because of the language, but my feeling is, if you want to know the real Elvis, you have to know what he was like on both sides of that Graceland wall, and I felt this book came as close as showing fans that side of him as any book ever will. EIN: You are one of the most instantly recognizable identities in the Elvis world and you continue to leave your indelible stamp thru your tireless efforts. In decades to come, how would you like to be remembered? 007: I would like most to be remembered by my career in writing, beginning in 1955, in which I worked very hard to dig up the facts on every story I ever wrote and I tried to be as fair as possible in all my writings, but never letting Truth be bent along the way. A Jesuit Priest, president of Christian Brothers University here (across from Libertyland), in a temporary moment of anger, pointed his finger at me and shouted, "You know what you are? You are a Slave of the Truth!" I pointed to his collar and said, "Brother, you mean to tell me you're wearing a collar like that and you think I have sinned by printing the Truth." I have long felt that was the highest compliment I have ever received. The second highest was when I funded a journalism scholarship at Memphis State University in honor of my dead younger sister, and the professor said publicly, "Bill Burk is like those pioneers of the early West, but one better. After Bill crossed a gorge between two mountains, he would have stopped and built a bridge across it so those following would have it better." And that has been a true reflection of my Life. EIN: Connie and you work as a close-knit team. How did you meet and when did your relationship blossom? 007: BT Sondag is a large weekly magazine in Connie's native Denmark. It limits most of its stories to one page; some go as long as two pages. Our story - how we met and came together - got the front cover and three pages! We've now been together 19 years and I don't know of two other people who are closer than we are to each other. We work in both our jobs as a team. Connie is the editor of all my books and magazines and she brings a fan's viewpoint to my writings; where I bring a knowledge of Elvis to them. In addition to being husband/wife, we are best friends, confidantes, partners and I cannot imagine still being around without Connie. EIN: One of the fantastic things about being part of the Elvis community is the chance to travel and meet fans in different countries from many different cultures and backgrounds. What are some of your fondest memories traveling and meeting fans? 007: Oh my Lord! I've done over 30 talks to Elvis conventions in Europe; almost 60 overall; in addition to hosting over 100 Elvis World events in Memphis. I think I know people from just about every corner of the Earth. Memories from each of these events, locations, flood my mind, and though the cultures, the food, are different, the common thread worldwide is a love of Elvis and a thirst for more information about the man I called "friend" for 20 years. One memory that stands out sort of sets the tone for all the others. I was making my first talk in Europe, on 1 May 1983, in Antwerp, Belgium. Over 2000 fans from 13 countries were there and I told my translator that rather than stand there boring people with "Elvis and me" stories, I'd prefer fielding questions from the fans. "What happens if they ask about drugs?" he daid. "Then they get an answer. And if I don't know the answer, I don't belong on that stage." Later, the translator read a question: "Tell me that Elvis did not take drugs." After my reply, the audience applauded loudly. Later, I would get over 150 letters from fans who were thanking me for being Truthful with them, saying I was the first speaker they had heard from who had told them the Truth.